Part of the Viridian Nutrition range of nutritional supplements and beauty products dedicated to Purity, the Environment and Charity. Anti-inflammatory. 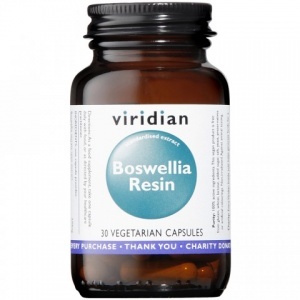 Boswellia serrata resin extract powder (65% boswellic acids),¾in a base of alfalfa, spirulina & bilberry.